I was skeptical about what had happened to this Nitro and put it down to user error....until today. I was packing my kite up and having read this post, was curious about the location of the "rub" point on my Nitro. To my horror I had the same issues of the kite fabric having been damaged in the same location. Now it is easy to look at someone else's situation and put it down to being their fault but when it happens to yourself. Anyway, some background on my kite. This is the 5th Nitro that I have owned and it has not happened to any of my other kites. I only ever tether launch on grass and do not self launch. Where the damage has occurred is where the kite sits while I hook on and bring the kite up so there is some slight discolouration from grass stains at the location and obviously where the "abrasion" has occurred. Being my 10m kite and as I am 110kg it is one of my least used kites. I am also fastidious when it comes to the treatment and use of my kites. This kite has been used no more than 15 times with no sign of any other damage. I have a V4 Nitro that is my most used kite (in excess of 250 times) and has no sign of damage or wear at this point. I am suspecting that this is a weak point in the kite and one worth looking at if you also own a V6 Nitro. It is a shame as I was on the verge of shelving my old V4 14m as I had permission (from the wife) to upgrade to a new 14m V4 . I am now seriously considering my other options as I don't believe this to be my best option. I will get in touch with Switch to discuss this issue, but thought it best to bring up the issue with others that may have doubted Dials' initial post. It does look concerning. I'll have to check my nitro 9m which I've so far only used about 8 times and check against new nitro 14 arriving soon for baseline. I would have thought that would only occur on a harsh surface beach or if you left it on the tether for a while. It's pretty gusty in this part of the world so it's more common for the wind angle to change and either lift or roll over the kite, I'd never leave a kite tethered and unattended though, on sand it would probably cause damage like that after not too long. Some locals are weird about tethered launching and landing, I often do it because it seems safer to me but it's obviously going to make the kite rub when you are sorting it out. I have noticed that the kite companies advertising "bumpers" protecting their kites aren't going to achieve much with them unless they are on bits already sticking out. For Bill Hanson's constant curve leading edges this obviously won't work. For kites like the E6 with obvious segments, it has a bit more chance to protect if they are placed on the segment junctions. Also there's probably a very small tendency for the segmented kites to slide instead of rotate but... a rotation has less rubbing than a slide. I'd be very interested to see how some of the B.H. designs would perform modified for limited travel pulleys with the same neutral bar bridle point to point lengths. Borby wrote: I was skeptical about what had happened to this Nitro and put it down to user error....until today. I only ever tether launch on grass and do not self launch. Where the damage has occurred is where the kite sits while I hook on and bring the kite up so there is some slight discolouration from grass stains at the location and obviously where the "abrasion" has occurred. Seriously - this is the "weak point" in any kite launched this way. Any sharp object you missed when setting up, will make a cut/abrasion at that point. If you do the more traditional self launch, it is moved closer to the tips. This can happen on any launch. You don't need 200 days for that to happen. It is not constant wear over time, but a single instance when the damage happens. Not saying there can not be any manufacturing mistake, since I have no insight in that. But how can you be absolutely sure there has never been a sharp rock, glass shard, sharp shell or anything like that hidden in the grass where you launched? Today whilst I was today and about to go for a kite I thought that I would check my new (bought in November only used 4 times) Nitro V6 12m. I checked and found exactly the same issue has occurred (see photos below) as to my 10m Nitro. Directly below the stitching of the canopy to the leading edge is another set of stitching for the leading edge. The stitching of each part sits on top of each other and with the bottom stitching being quite harsh. It is thus the stitching that is sitting below the canopy that is causing the damage and it would not matter what contact the kite is making with the ground this will cause a wear spot which has led to rapid tears and a weakness along this point. Now I get general wear and tear on an item, especially a kite. However, I see myself as accomplished kiter and am careful with my gear. Launching can obviously be done assisted, self or via a tether and I would see the tether approach as providing minimal "roughness" to a kite. I never self launch a kite as I see what happens to them as they drag themselves along the ground and obviously do not want to damage my kite. This is a definite design flaw as I mentioned earlier, my Nitro V4 does not show these signs of damage. Jan, I am very familiar with the launch area that we use. I have been using this area for years now and the grass is very well maintained and there are no abrasive areas present. This spot is used by a lot of local kiters and believe me, we would know if there was sharp objects around. So given that two of my v6 Nitros now show the same damage at the same spot of the kite with one of them having been used only 4 times I can only come to one conclusion....DESIGN FAULT. I will take these kites to a local repairer and get him reinforce these areas, but it upsets me that a brand which I rate highly when it comes to quality and performance, is not meeting these standards and that I will have to pay to have new kites fixed. I am a huge advocate for Switch and their product, however I will struggle to buy another Nitro or promote Switch as a brand unless this issue is addressed in V7 as I can not justify this level of damage being done to new kites. Wow, you guys got me wondering. I unrolled my Nitro5 12m and Nitro6 10m on my front lawn to check the leading edge. I've lost count how many sessions I've had with these kites and most of my kiting is launched from a North Carolina beach with an abundance of sharp clam shells. Probably over 90% of the time I am tether launching where I sit the kite on its wingtip. I look for any sharp objects when I pump and tether launch. Treatment of my Nitro5 12m borders on abuse and I have a few self-inflicted clam shell cuts, but nothing like your pictures are showing. Sorry about your experience. Since when is there stichting under the canopy at that place? (and why should it be there in the first place... ?) Can't remember seeing that on any of my Elements or Legacies. Could you show pictures of that stitching? I can imagine that those would rub against the canopy all the time and create that weak line/crease. Switch has taken great care in using high quality materials and construction. In the product development phase, Switch also extensively tests each model for an extended period in many different conditions. This is to detect and correct possible deficiencies in the construction before production begins. Our production facility is exclusive to Switch and we have very experienced staff in the control of each step of construction. From our experience, canopy failures like this are exclusively caused by unseen sand, grime or other debirs depositing in between the L.E and canopy. This can happen in many ways as you are out in the elements of mother nature (wind blown sand, fine sand, dirty water, self launching, crashing in the shore break - the list can go on...) Without specific inspection, this can easily go unnoticed. With movement over time, friction/rubbing can incrementally wear through the material with you only seeing the end result. Damage to the stitching is also possible. This can even occur when the kite is not in use, packed away. We are using the exact same material as is used by many of the other top brands, all from the same supplier. All our seams are stitched and glued for maximum strength. It is always advisable to inspect you gear carefully after every session. Also in the above photos the damage is from the front most likely getting compromised by rubbing on the ground or some other surface. I have nothing to gain from bringing up this design fault. 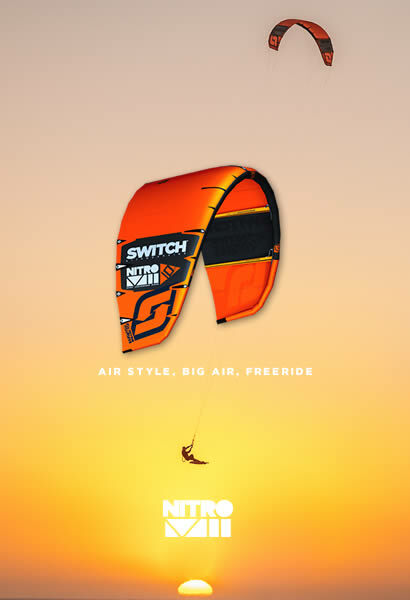 I am an avid supporter of Switch Kites and their products, having encouraged many of my mates to buy kites from Switch. Our local kite spot quite often looks like a Switch open day. My kites are new, the damage is not malicious. This is a weak point in the kite. Stains do not mean abrasion. As I mentioned these kites are launched on grass. If grass is a sufficient abrasive to wear through a point on "high quality" materials then this is a design fault and a factor that needs to considered in future versions of the kite. Especially after using a kite only 4 times. It is ok to be in denial and refuse to take responsibility for a design fault, but unfortunately this is a business model that relies on the feedback from committed customers and you are not listening. I am not the only person to have an issue here. Another mate of mine who also has the V6 in the 14m has suffered the same issue (plus obviously the initial poster of this forum). This is spot that you would not normally look at on your kite when inspecting for damage, and I would not have checked if it was not for the initial post. I get damage to stitching from abrasion, however if you carefully look there is a line that is forming along the canopy material of the kite. Sitting directly underneath this material is the rough stitching of the leading edge material. This is causing the abrasion once pressure is placed on the material from the top. Over time it will continue to weaken this entire strip till there is failure of the entire length of the material. You quote "...this can easily go unnoticed. With movement over time, friction/rubbing can incrementally wear through the material with you only seeing the end result. Damage to the stitching is also possible. This can even occur when the kite is not in use, packed away. We are using the exact same material as is used by many of the other top brands, all from the same supplier. All our seams are stitched and glued for maximum strength. It is always advisable to inspect you gear carefully after every session." Of course it will go unnoticed as this is in a fairly un-obvious location. "Damage over time" does not mean only after 4 uses. "Damage from packing away" = kite is carefully rolled up on grass and put carefully into a Switch bag making sure not to get caught by any zips. "Inspect your gear carefully" - does not mean going over every square cm of on 12 square metres of material. I get that my kites sits on this spot when I tether launch - this spot needs to be reinforced as I dare say I am not the only person who tether launches a kite. But, as I have said previously it is the stitching below the material that is causing it to rub and break through the material. I am happy for you and future customers not take this information on board when considering future purchases but what I am saying is BUYER BEWARE and if you plan to tether launch, keep an eye on this weak point of the kite as it could lead to catastrophic failure. In the end I will take my new kites to a professional kite repairer and get him to reinforce these areas. 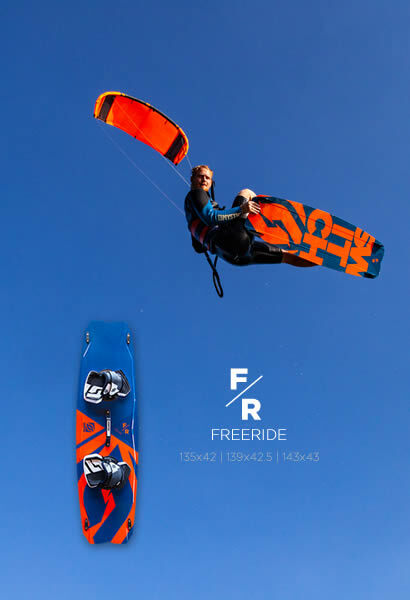 Will I buy a Nitro again...certainly not a V6 and this is a shame as I love the performance of these kites. So I have been riding nitro all the way to the Nitro 1 and the constant improvements have been astounding. The built quality has always been top notch -- confirmed many time by our local kite fixing expert. And yes even the strongest kites can break -- shells, thorns, debris will take a toll on your leading edge, or canopy. So kite brand I had before showed way more wear from self launches, crashes, then I had on my Switchkites. I ride a lot (still wish it could be more) so after 100+ sessions you will see some wear -- yet even that is basically due to the debris on the beaches. One shell at a abad position during a self launch can do a lot of damage --- happened to me on a North kite -- the best advise is get a buddy to launch and land you an minimize risk and wear and tear. With respect to support -- Switch is 2nd to none in my decade plus of kiting. Trying to get any concession from North or Slingshot in the past was like talking to a wall -- and the local dealers just hiding behind the manufacturer. And Jon (our local kite repair expert) had shared some stories where Switch paid him for repair that in his opinion more likely then not were user error more then anything. FYI - I checked my Nitro6 (no wear at all) and I have probably 45plus sessions on it. So my advise treat people with respect -- and they will come through and do the same -- and you get fair and equitable treatment as a welcome side product. Even saw a kites ones that ribbed open after a kiter turned his kites to deflate it rubbing it all the way on the tip because he could not do it quick enough and cool enough to show off. As on any other reclaim I would go directly to the manufacture, often you get most help this way.